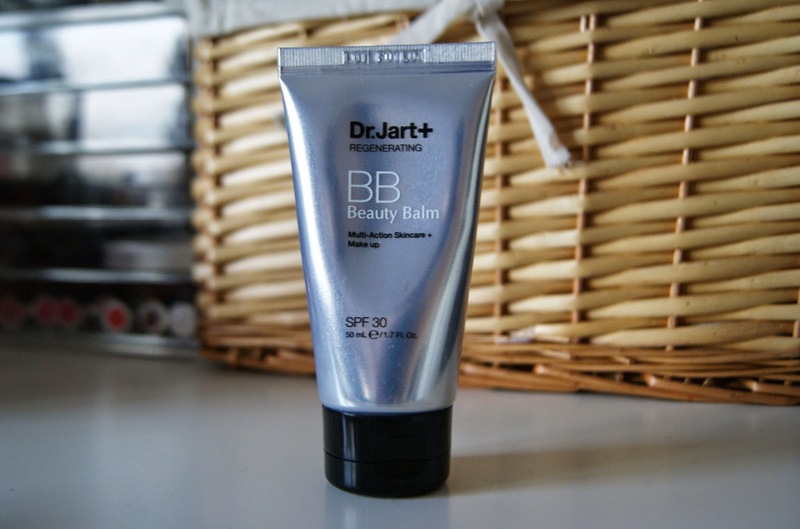 Keeping with a mini theme of light winter bases today, this time with the Dr Jart Regenerating BB Cream. I featured this in a repurchase post in the summer, but have never got round to reviewing it until now. First of all, I absolutely loved the regular Dr Jart BB Cream (green tube). It had just enough coverage to give you good skin, but felt super light on the skin and was just the right colour for me - when I had a tan. But unfortunately, it ran pretty low, so I tried to find another to repurchase, only to settle for this one when the regular one was impossible to find! However, I have been loving this one just as much. For some reason, the tone of this is paler than the regular BB Cream, and so it works just fine on my winter skin tone, although I feel like it would be too light for me in the summer. The formula is absolutely amazing - slightly thicker than traditional BB creams and so gives a little more coverage. I feel totally happy wearing this on its own as a base, unlike a lot of BB creams that just feel like they have covered nothing! I also think it has pretty good lasting power too, although I always use powder over it. If you're not a fan of heavy full coverage bases, then definitely take a look at this! I love wearing this day to day when I just need a little something on my skin to make me look radiant and colour correct any redness etc. It's supposed to be £21, but definitely watch out for Boots doing offers on this as they nearly always have it 1/3 or 1/2 off!